FROM Prince Charles' affair with Camilla, to Fergie's cash-for-access tape, to Prince Harry's Nazi costume - the royal family is no stranger to scandal. 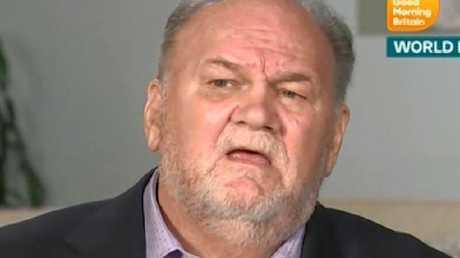 But according to the Mail Online 's Richard Kay, the ongoing chaos surrounding Thomas Markle Sr has descended into an "existential crisis" for the British monarchs. Kay claims a number of past royal staffers have agreed that the handling of the whole situation has been "inept" and "feeble". The veteran royal journalist also reported that the ongoing crisis is "dangerous and unfamiliar territory" and that the Palace seems to have totally lost control of the situation. For years, the royal family has largely stuck to its policy of maintaining a dignified silence until controversy dies down - but when it comes to the Markles, it's just not working. Meghan's father, Thomas Markle Sr, has frequently made headlines since his daughter's wedding to Prince Harry, and far from stemming the flow of his public comments, Kensington Palace's "freezing out" of the retired lighting director appears to instead be fanning the flames. In his latest offering, Mr Markle told the Daily Mail over the weekend that Prince Harry had berated him on the phone while he was in hospital recovering from a heart attack, and that he was told he wasn't allowed to deliver a father-of-the-bride speech at their wedding. Not to mention Meghan's half-sister Samantha Markle, whose vicious diatribes have made headlines practically since the day Harry and Meghan's relationship was first reported (the latest attack - Meghan is "inhumane" and will eventually dump Harry). Samantha has been the most outspoken of the Markle clan. Oh, and of course, there's Meghan's half-brother Thomas Markle Jr, who infamously begged Harry not to marry his sibling in the lead-up to their May nuptials. Yes, this Markle debacle has officially transitioned from headache to migraine for the royal family - and it's beginning to do serious damage to its reputation. One royal aide (who worked on Prince William and Kate Middleton's 2011 wedding) even told the MailOnline that Meghan's father had been mishandled right from the start. "The perception is that he was treated very much as an afterthought. No one went to visit him when the answer would have been to have someone fly out from London and explain to him how things were going to happen," the insider explained to the publication. "Even after he started talking to the media it was not too late. When Kate's uncle Gary found himself in the newspaper spotlight [Gary Goldsmith was the focus of lurid headlines about alleged drug taking] he was brought into the fold, not excluded. "He was told he would be invited to everything but that if he felt inclined to speak out and give interviews, we asked that he let us know in advance so that we would be prepared. No one seems to have thought of that this time." Another source told the outlet that it was too late for Palace staffers to patch things up - and that the responsibility now rested squarely on Meghan's shoulders. 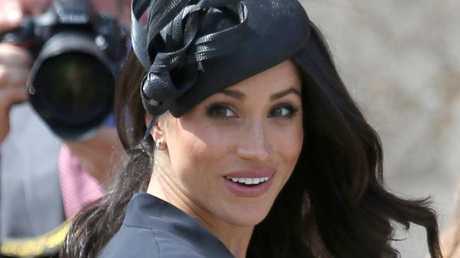 "It's too late now for equerries or go-betweens to get to Mr Markle - it's up to Meghan. 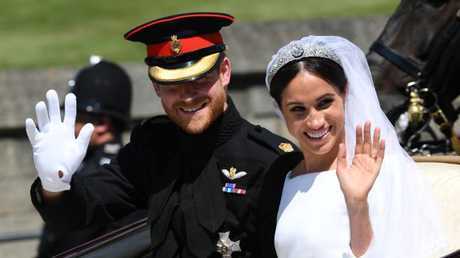 She clearly loves him enough to have wanted him at her wedding so she needs to go and spend time with him," the former palace aide told Daily Mail. "Clearly there is an issue of trust - will he blab about everything to the next microphone put under his nose? But he didn't talk to the media for a long time earlier on."